On Tuesday, North Korean authorities announced that they had successfully tested a hydrogen bomb, eliciting alarmed reactions from world leaders. If confirmed, this would mark the first time the reclusive nation has tested an H-bomb, which is many times more powerful than the nuclear weapons it has tested in the past. An H-bomb, or a thermonuclear bomb, is a weapon energized by nuclear fusion of hydrogen isotopes — deuterium and tritium. Since it is powered by fusion of lighter elements into heavier ones, it can lead to a chain reaction, making the weapon hundreds of times more destructive than an atomic bomb, which relies on tearing heavy atoms such as plutonium and uranium apart — a process known as fission. 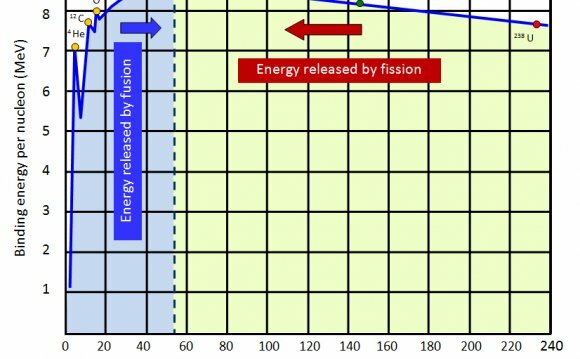 However, even in H-bombs, the primary explosion needed to generate the energy required to kick-start the fusion process is caused by a fission reaction. This reaction causes the secondary explosion, which is triggered by the fusion of the hydrogen isotopes. The destructive power of a nuclear weapon is measured relative to how much Trinitrotoluene (TNT) would be needed to create a comparable explosion. Nuclear weapons that derive their energy from fission usually have a yield of around 10 to 20 kilotons. For instance, the bombs dropped by the United States over Hiroshima and Nagasaki, which killed over 200, 000 people, had yields of 13 and 21 kilotons, respectively. Fusion-powered H-bombs — which are “cleaner, ” in terms of radioactive fallout, and are completely scalable, in terms of size — can have yields measurable in megatons. The most powerful nuclear weapon ever detonated was the H-bomb “Tsar Bomba, ” which was tested by Soviet Union in 1961 and had a yield of 50 megatons, making it 3, 800 times more powerful than the Hiroshima bomb. It is also possible that North Korea is using a “boosted” nuclear weapon, which involves a small amount of fusion to amplify the explosive capability of a fission bomb. According to Bruce Bennett, a senior defense analyst at the RAND Corporation, this kind of weapon can have a yield of up to 50 kilotons. “Because some fusion is involved in such a weapon, Kim may be claiming that he has achieved a hydrogen bomb when in practice he only has a boosted weapon, ” Bennett wrote for CNN in December, adding that if North Korea had, in fact, developed such as weapon, it could do “significant damage” in a densely populated city such as the South Korean capital, Seoul.